The vital thread running through the whole of Sheila’s working life is ‘story’ and story-telling. For 20 years she was a Film Editor, telling stories through short, instructional films; she greatly enjoyed practising this craft, and remembers with particular pleasure the time she spent working in an animated film studio. Her career in film was preceded by a time in the Wrens including a year just before the end of the war at Bletchley Park. Sheila’s time as a member of the Bletchley Park code-breaking team was both extremely serious and great fun, with humour and leg-pulling counteracting the intensity of the work. To assist in the unravelling of codes, which could then reveal their hidden message, was for her an introduction – not only to story-telling but also to another important thread in her life: the keeping and the revealing of a secret. So, when Sheila came to WPF in 1974 – almost at the very beginning of that organisations’s history – the art of psychotherapy, involving the need to unravel things which are not all they seem on the surface, and to wrestle with the meaning of symbols in the individual psyche, seemed another rich vein of eliciting and putting together strands of personal story. Sheila was in supervision with David Holt for three years, and emerged from WPF as a Jungian Psychotherapist. 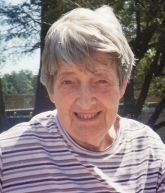 She continued her psychotherapy work from then on, supplementing her income in the early days by working as a translator for Geistige Loge – a group of Christian Spiritualists in Zurich. Sheila retired in 2010. She has been a regular attender and lively contributor at Guild meetings for many years, and has most recently been honoured by being invited to become President of the C. G. Jung Analytical Psychology Club, London.